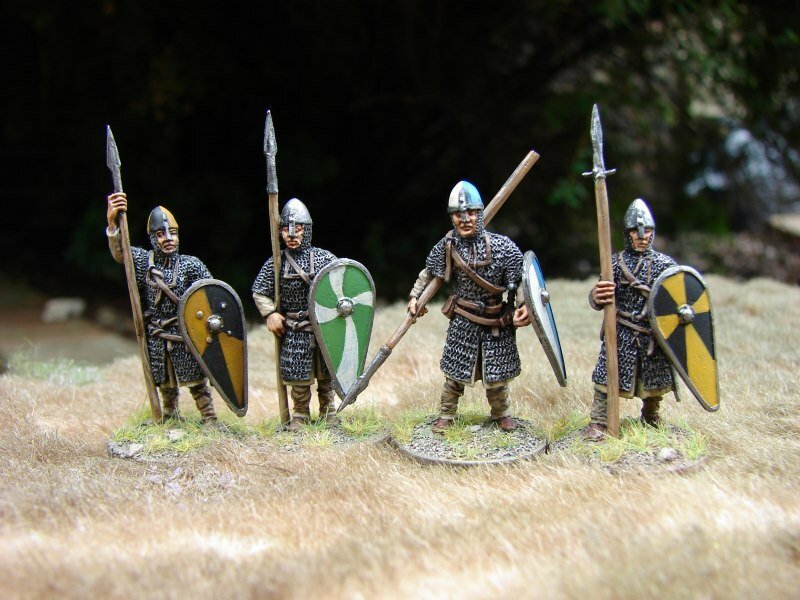 Norman spearmen suitable for gaming with systems such as SAGA. 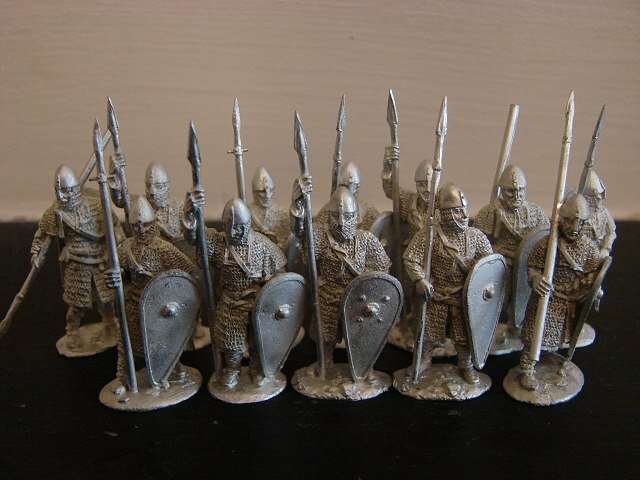 Shields and spears are cast in situ so no fiddly pinning or gluing. 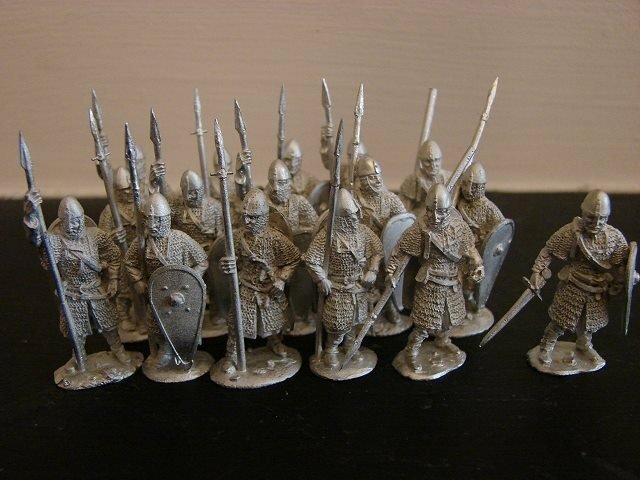 There are 16 variants of the miniatures for maximum variety when you rank them up together. 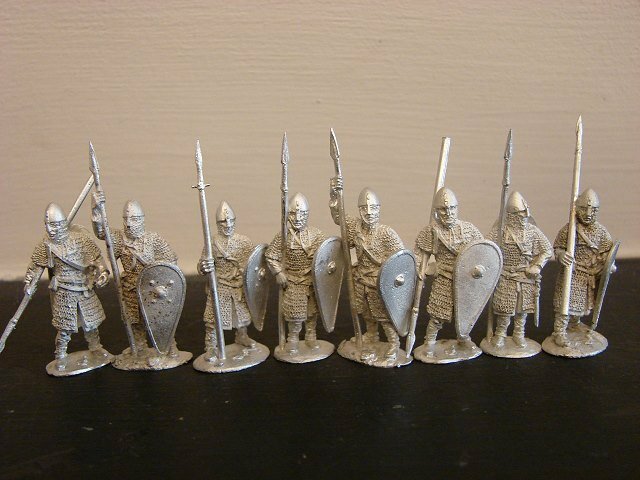 Currently the range only includes Norman spearmen.